During my MBA at Ryerson University, 9 fellow classmates and I went on week-long trip to Costa Rica during one of our reading breaks. It was a perfect opportunity to escape from Toronto’s cold weather and spend a week in the tropical rainforests. We started our journey from San Jose and drove through San Isadro to a small town called of Brujo. Our shuttle dropped us off to a point where there was no other option but to continue on foot to travel further. Our next destination, Eco Lodge, was one river and a 3 hour hike away deep inside the tropical rain forest. We used cable car that only carried two people at a time to cross the river and began our hike. Tree climbing was also one of the many activities we did at Eco Lodge. Growing up in a tropical country, India, I used to climb trees when I was a kid every time we went to our farm. Climbing a tree as an adult with a harness and a hamlet felt like a grown-up way of reliving my childhood memories. It was definitely a little harder than I thought since my feet kept slipping and my arms had to do the most work. 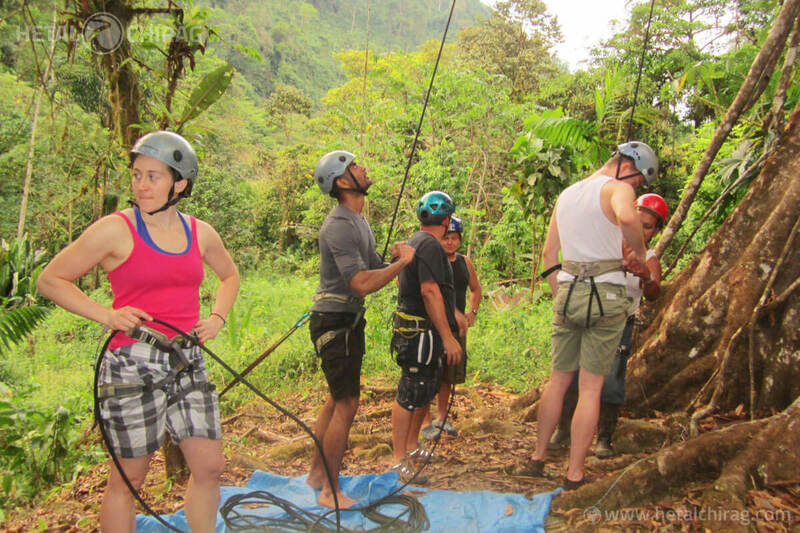 Besides tree climbing, we also participated in a number of outdoor adventures such as zip lining, rappelling, white water rafting, surfing and salsa dancing.